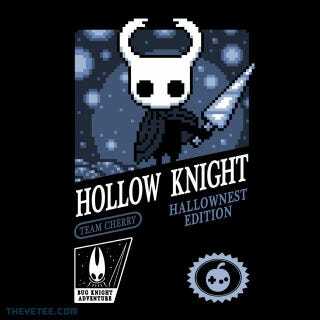 Hollow Knight is always saving your progress, but when you quit and continue you always resume at the last bench you sat at. This creates a very basic single fast travel point. Hollow Knight has a lot of backtracking, and sometimes it just makes way more sense to quit and restart if you went far off on an errand or divergent path. Sometimes it pays not to sit on a bench that is deep into side-track exploration, if you want to spend all that Geo you have been picking up. Real fast travel is achieved with the Stagway Stations. This one may be more obvious than the last, but when you pay to unlock your first Stagway Station you need to ring the bell to operate it. I did not figure that out for too long. There are a few types of map markers you can purchase. Some of them are automatically added to your map whenever you find a location the marker applies to. The most useful ones of these early on are the Stagway Stations and benches. New to the game are markers you can put on the map yourself, which I wanted when I first played. The game gives vague hints about how to use them, but you may have a tough time figuring out what exactly to mark, since obvious things are marked by the previously mentioned markers. I am using them now to mark areas that are too dark to see, so that when I get something to deal with that I know where to go back to. The 2nd DLC was the called the Grimm Troupe. I played Hollow Knight with this installed, but never found it until I had finished the game. If you want to do this DLC, you should definitely look up how to activate it, because it requires an obscene amount of backtracking to complete if you save it for the end. This playthrough I am going to make a point to get it as soon as I can, so that I may be able to see it all. The final DLC should be released soon (no specific date yet,) and when it is I am going to look up how to activate that as well. This game is way longer than I expected. I looked up very little and it took me over 40 hours. If the mystery of not knowing where to go next in such a huge game is too much for you (there is very little hand holding,) just look up what to do. Even if you know everything, the game will still probably take longer than you expect. Fortunately the more you play, the more the game’s gorgeous style and music is going to charm you. I hope you enjoy the game, and thanks to Team Cherry for such a great experience.